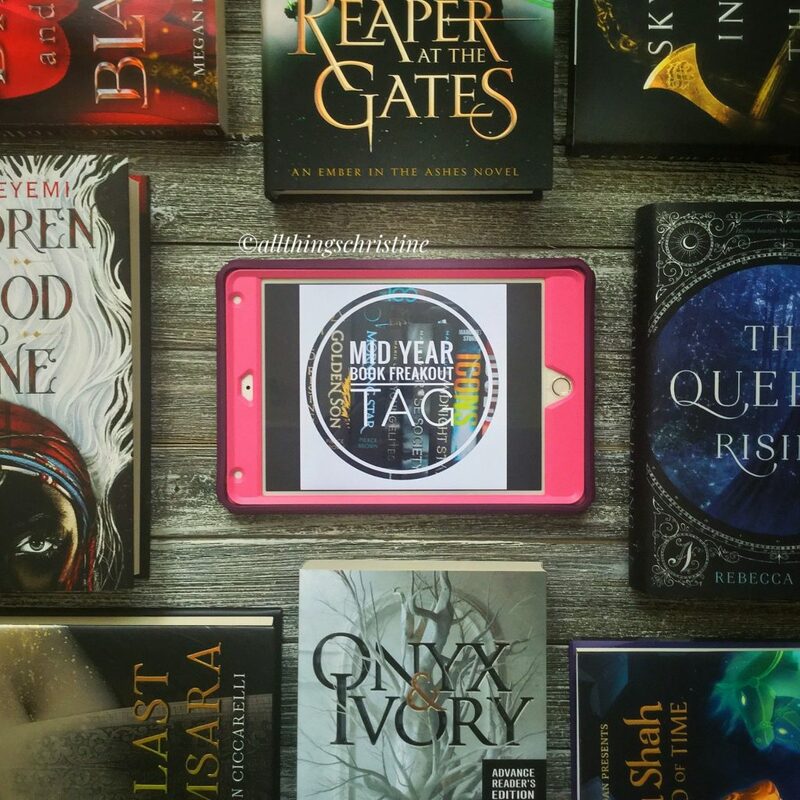 Ok, so I realize that this is slightly past the middle of the year but I only saw this tag recently and thought it was pretty neat. So i decided on a whim to do it! 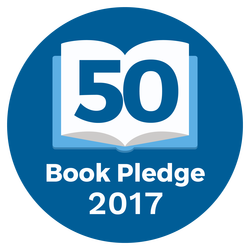 It certainly made me realize how far behind I am on my reading goal and that I need to work hard in the second half of the year! This was my first five star read this year and still remains my favourite of 2018 so far. I was obsessed after the first couple of pages, the world Ross created made me want to exist inside of the book. 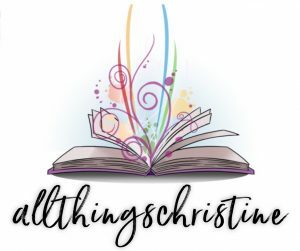 I’m pretty sure those who know me are sick of hearing me sing it’s praises but if you haven’t read this book yet you need to move it to the top of your TBR immediately. You can read my review on the book here. 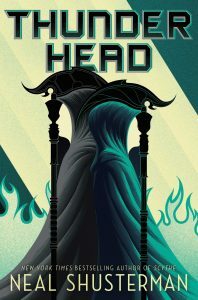 The second book I read this year, I read Thunderhead immediately after Scythe. It added so much to the series and the cliffhanger ending nearly killed me! I don’t feel like the second book was a filler, I feel like it built upon the world introduced in Scythe and expanded our characters horizons. I am eagerly awaiting the next book in the Arc of a Scythe Series. You can find my full review of the book here. I own all three of these books but I have yet to read them! 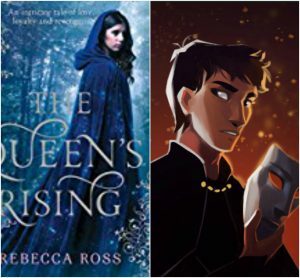 I am planning to change that for A Reaper at the Gates though because all three of the books in An Ember in the Ashes Series are books that I am hoping to read this month. I am actually planning on reading them after I finish my current read (Shadow of the Fox). Of course this was going to be my most anticipated book, it is the finale of the Throne of Glass series! This series is my second favourite series of all time and I am so excited and yet so sad at the same time that this series is coming to an end. 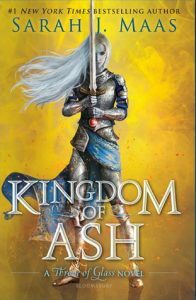 I am planning to read all seven books in the series in the month of October when Kingdom of Ash releases. The cover was just released recently as well which just makes it even more exciting! This was by far my biggest disappointment of the year. 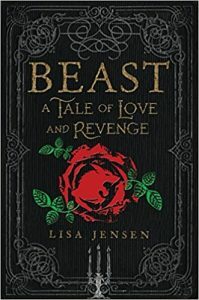 A beauty and the Beast retelling that I ended up DNFing because of a lack of trigger warnings. To find out more about this, you can read my full review here. 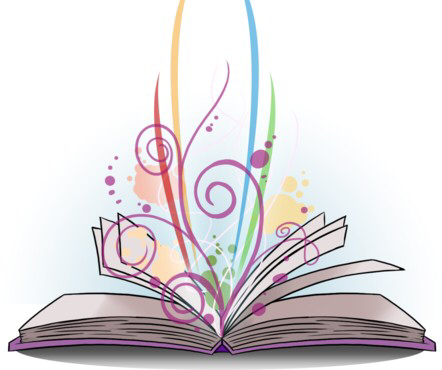 I pride myself on normally being able to figure out the mysteries of a book before they are revealed by the author. There are always a couple of books where I’m not able to figure out and I am taken by surprise. I will not reveal why I was so surprised by these books because I don’t want to spoil them for anybody else. 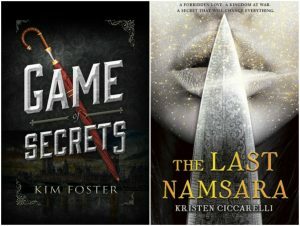 If you would like to find out why I was surprised, you can find my review for Game of Secrets here and The Last Namsara here. 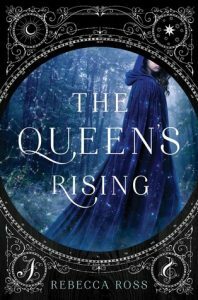 I fell in love with her writing style from the first couple of pages into The Queen’s Rising. 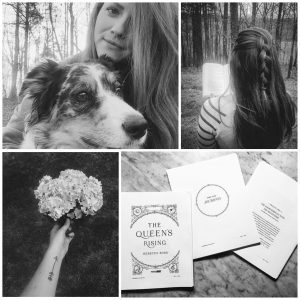 Her writing is evocative, lush and magical and I just can’t get enough of it. 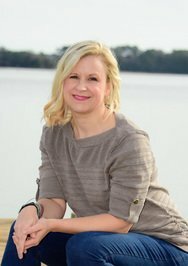 Rebecca is also just a wonderful person, and when I have chatted with her online she seems so sweet. Definitely an author I am now adding to my auto buy list. Check out here website here. Female- Brienna (The Queen’s Rising) I know, I KNOW! You’re probably sick of me talking about this book but I can’t help it! I just loved it so friggin much. I remember relating to Brienna so much: we learn things in the same way, we react similarly in various situations, we think the same way, etc. Male- Elias (An Ember in the Ashes series) I know this is technically cheating because he really isn’t a new character because I first read An Ember in the Ashes back in 2015. But since I re-read this book for the first time in 3 years to continue on with Torch and Reaper I am counting it. I love how moral Elias is, how he always tries to do what’s right damn the consequences and how Blackcliff wasn’t able to beat the nice and caring part out of him. He could’ve turned out very different, especially if he wanted to impress his mother. And while I wanted to strangle him for most of Torch, he is still my precious cinnamon roll that must be protected! I really don’t want to spoil anything but I was devastated when one of my favourite characters was killed off. It was so sad when and how they died that it made me tear up and cry a little. That sense of loss was profound and I am still angry that they died. 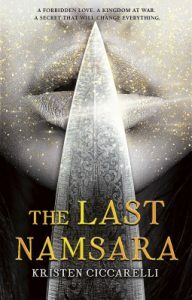 What made me so happy about this book is that it was a historical fiction book that was centred around Mongol culture. I had never read a book that focused on the Mongols and I was so excited to finally read one. I didn’t expect to fall in love with this book as much as I did either. That author truly made you feel like you were a part of that time period and truly existing in the world she created. It truly touched me and I was thinking about it long after I finished reading it. You can find my full review on the book here. To be honest, I haven’t watched that many book to film adaptations this year. I think I’ve only seen The Death Cure, Ready Player One and A Wrinkle in Time. I’m really excited for The Darkest Minds and To All the Boys I’ve Loved Before but unfortunately I haven’t seen the, yet so I can’t include them. I thought that A Wrinkle in Time was well done and worth watching no matter your age. It might be a bit hard for very young children to grasp the science of time in the movie but it is a wonderful tale of loving yourself, discovering who you truly are, family, and adventure. I hope they continue making the rest of this series into movies. Watch it if you haven’t yet, it is out on DVD now! I am really proud of my A Torch Against The Night even though I haven’t posted it on my blog yet. 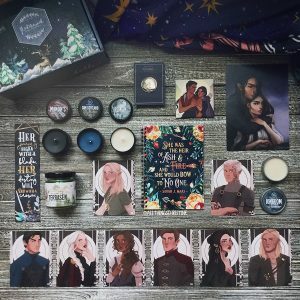 Not because it is anything amazing, but because when I went to re-read Ember so I could refresh myself and jump back into that world I also looked at my review I posted on it from 3 years ago. And the strides I have made in my own writing and reviewing style now from when I first started are immense (at least in my opinion.) 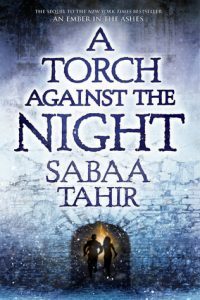 I am proud to see how much I’ve developed which is why I am so proud of my Torch Against The Night Review. I love so many things about the cover of this book. I love the mysticism and magicalness of it, I love that a diverse character is actually on the cover, I love the colours, I love the books floating in the background. 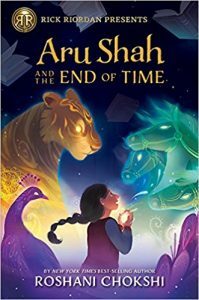 I also love what this book represents: inclusion of diverse characters and storylines into middle grade and young adult literature. I just love so many things about it and I think this book is absolutely stunning for those reasons and more. 15. 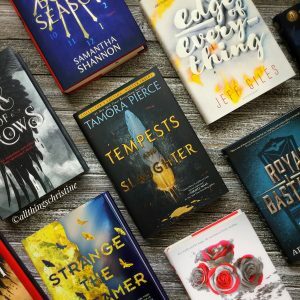 What books do you need to read by the end of the year?- Too many to count! I have so many books that I want to read by the end of the year. 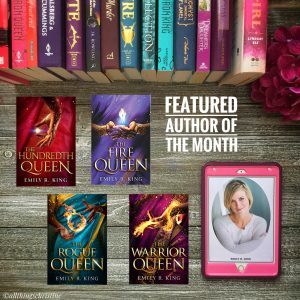 I want to read the entire Throne of Glass series (some are re-reads), get caught up on An Ember in the Ashes Series, Sky in the Deep, The Cruel Prince, Children of Blood and Bone, Beyond a Darkened Shore, the Shades of Magic trilogy, An Enchantment of Ravens, The Seven Deaths of Evelyn Hardcastle and so many more that I already own and are just sitting on my shelves. I am going to tag anyone who wants to do the tag! Go forth and reveal your choices. Thanks for reading guys, and if you end up doing the tag leave your links below so I can check them out! 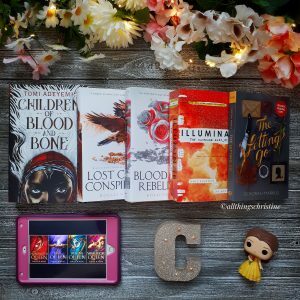 I still need to read The Children of Blood and Bone too! 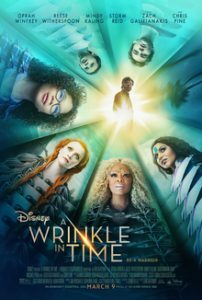 I really want to see A Wrinkle In Time but I am not sure if I would go for the book. Some of those books are new to me and the others I have seen reviewed. Great Tag. Ahhh I want to read so many of these! Thunderhead was for sure the best sequel this year. 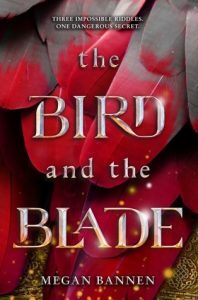 And I need to read Children of Blood and Bone, Sky in the Deep, The Queen’s Rising, The Last Namsara, and The Bird and the Blade! SO MANY! 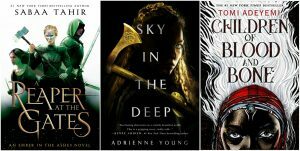 You MUST get around to Children of Blood and Bone and Sky in the Deep. They have bee some of my FAVORITES this year! Great post and I totally agree with you 100% about Elias I just love him so, so, so, so much as well! Lol thank you so much for sharing your awesome post.